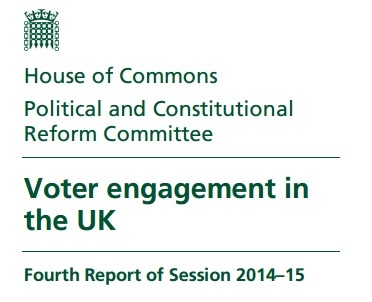 Coming back from paternity leave this week, I was pleased find the Select Committee on Political and Constitutional Reform’s report on Voter Engagement in the UK had been published. Voter Engagement in the U.K. – first submission focusing on voting and registration technologies, recommending reforms such as election-day registration, motor voter registration, revisiting internet voting, modernising electoral law and further funding of election officials. This was based on my book and findings about individual electoral registration. Voter Engagement in the UK – second submission – focusing on the use of performance standards in electoral administration based on my research on performance benchmarking in Electoral Studies. I’ll blog more thoughts about the report in the coming weeks…..